Originally from the Green Bay area, Lois Ruediger has Wisconsin in her veins. A mother of three sons and grandmother of six, Lois and her husband George have lived in St. Germain since 1990. 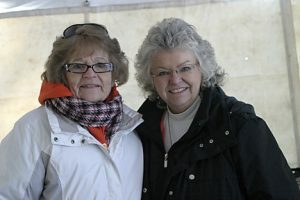 They moved north, where Lois started out as the manager for Twin Waters Resort in St. Germain. They then built Fibber’s Restaurant, and the St. Germain Lodge & Resort. Lois ran the establishment for ten years and now owns Business Connection, while George manages an ecommerce business. Lois’s passion for volunteering began early. She had been a volunteer for Cerebral Palsy Inc in Green Bay for twenty-six years, working on their Annual Telethon and making presentations in schools to recruit volunteers, as well as helping with fundraising efforts. 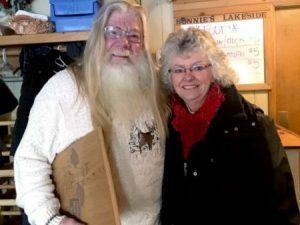 After travelling back and forth, Lois and George decided they wanted to find a local charity in the Northwoods to focus their efforts on. Enter Lolly Rose, who Lois met at an Angel fundraiser in the early 1990s. Lois was struck by Lolly’s passion and drive, and she began looking for ways to help. Lois and George were friends with Mike Wolf. They were discussing a winter event to bring more people to the area after the Christmas Break, and the Polar Plunge was born. Lois’s sister LuAnn Newton had been diagnosed with breast cancer and been told in 1999 she was cancer free. 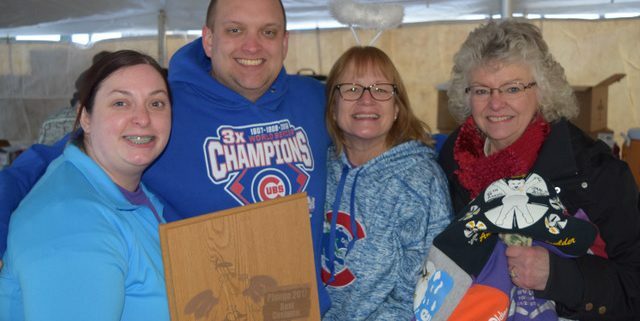 It was the perfect tribute to her that the Plunge became a reality at their resort, for an organization that reaches out to families affected by cancer. 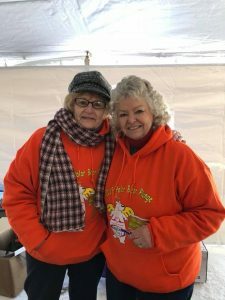 LuAnn went on to become one of Lolly’s best behind-the-scenes volunteers, working on the Plunge, Camp Angel, and the Uplifting Angels Program, as well as many other things Lolly needed done. In January, 2016, LuAnn was once again diagnosed with cancer and unfortunately lost her life to ovarian cancer. 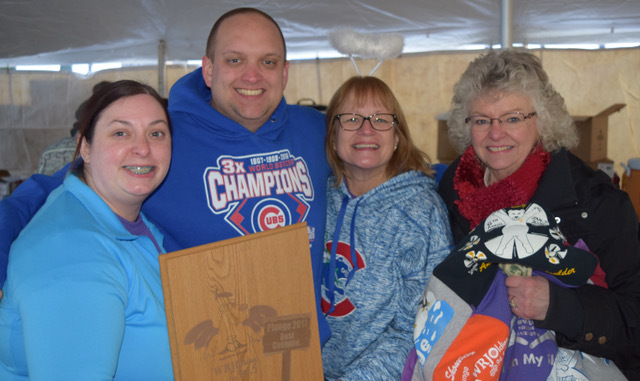 The Polar Plunge became one of Angel’s most successful events because of the team of volunteers who made it happen. The Plunge family have all experienced the devastating effects of cancer through a loved one and that’s the glue that has held them together all these years. As for the future, Lois and George will have a “snowbird” home in Alabama, near Gulf Shores, where the winters are mild and no one has to shovel snow! They plan to keep their home in St. Germain and share their time between the two, enjoying the best of both worlds. Lois also organizes a couple of craft shows in St Germain and donates all the proceeds to local youth groups. She has witnessed many people who took the Plunge as a tribute to their loved one who passed away from cancer or who may currently be going through treatments.